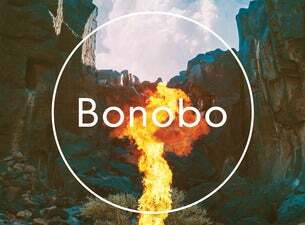 Following his announcement on the sold out Splendour In The Grass lineup, LA-based British musician, producer and DJ Bonobo added his own headline shows in Sydney, Melbourne and Perth this July. This is the first time since he visited since his sold out DJ tour in 2015, but this time he’s bringing his full band to celebrate his latest release ‘Migration’. It’s 17 years since Bonobo’s first release Animal Magic and he’s getting some of the strongest reviews of his career to date with Pitchfork calling his sixth album Migration “the most sophisticated record of his career” and reviewers of the live show equally impressed. The album features his recent collaboration ‘No Reason’ with Aussie favourite Nick Murphy (fka Chet Faker). The Bonobo live show is simultaneously one of the biggest and most subtle electronic music performances you can get - he and his band hit 30 countries and audiences of 2 million in eighteen months supporting his previous release The North Borders and they spent two weeks in February rehearsing the live show before embarking on the tour that is set to check in to some of the world’s best venues and festivals across the globe including Coachella and Fuji Rock Festival. Don’t miss this masterclass in taking genre melding electronic music out of the studio and onto the stage.